What do you have for potato bugs? They get into my garden every summer and I’m tired of hand picking them off my plants. They seem to come back every year too. I heard they live in the ground but I can’t find where. How do I treat them? Potato bugs are strong and resilient. And they will target most any plant you grow, not just potatoes! Once you find them active in your garden, lingering eggs well protected and out of sight will allow them to return every summer. This happens because females can lay hundreds of eggs in one season and she will do so in areas away from the garden you typically will ignore when treating. Most eggs will fall to the ground with normal leaf litter and many are missed. These missed ones will work their way into the soil where they’ll be protected from standard sprays as they settle several inches down from the top soil. 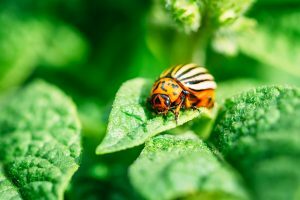 To control an active infestation of potato bugs during the growing season, use MULTIPURPOSE INSECT KILLER. This concentrate is approved for organic gardening and has just 1 day to harvest. 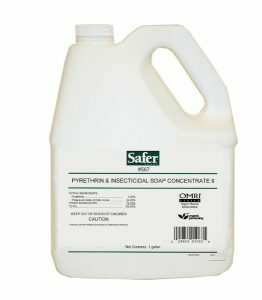 It will kill beetles quickly and can be used twice a week though you will rarely need to use it that often. Mix 6 oz per gallon of water and plan on getting 700 sq/ft of foliage coverage per mixed gallon. 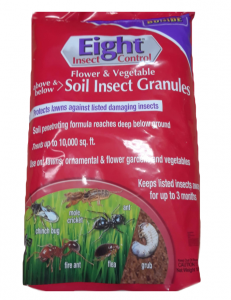 Come fall after the plants have finished bearing produce, its important to treat the soil with GARDEN GRANULES. These should be worked into the soil a few inches by first loosening the top grade of dirt and thatch. Plan on treating an extra 25% on every side surrounding the perimeter of your garden. So if your garden is 20 feet wide by 20 feet long, treat at least 5 feet past each side. That would now make the area effectively 30 foot long by 30 feet wide. Of course treating more of the yard would be even better but for most active populations, a 25% extra area will ensure you get them all. Its also suggested you treat the same area again in the spring before you lay seed. Try to get the ground treated 2 weeks before starting your garden. Again, loosening the top soil and thatch will help allow the treatment to get down into the soil several inches where hatching eggs will first emerge. Apply 1 lb for every 500 sq/ft of garden. So for the example above, you’d need 1.8 lbs mixed into the soil in the fall and then again the following spring.